25 Summer Slow Cooker Recipes! A list of 25 amazing crock pot recipes for your slow cooker for the summertime warm weather. Easy recipes for those long days at the pool… or long and way too hot work days. 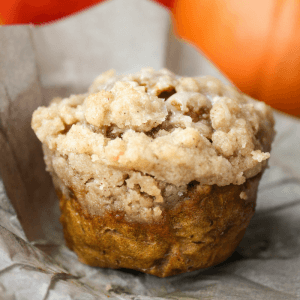 Family friendly recipe round up with everything from pizzas, sandwiches, potatoes, macaroni and cheese to meatballs, tacos and French dips. Slow Cooker Pulled BBQ by Living Sweet Moments. Place on a hamburger bun and served with beans. What is more summer than that? 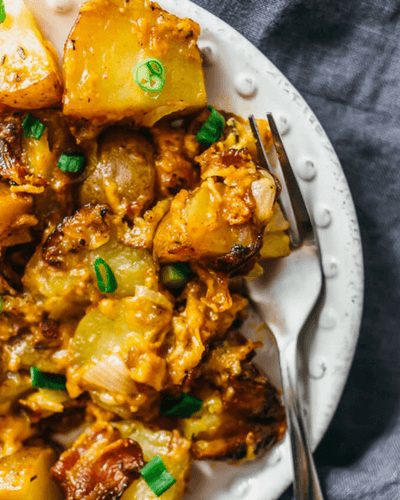 Cajun Slow Cooker Potatoes with Bacon and Cheddar Cheese from Savory Tooth. You had me at bacon! Imagine a great grilled steak on the plate these potatoes. 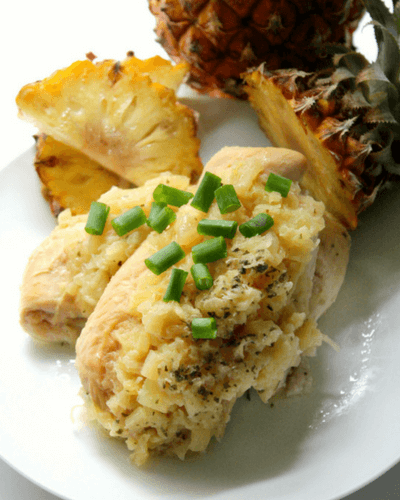 Slow Cooker Macadamia Pineapple Chicken from Strength and Sunshine for a tropical flare. 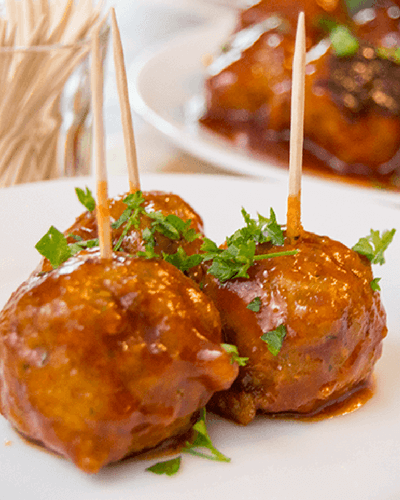 Sriracha Honey Turkey Meatballs from The Starving Chef. We all need a little sweet and spicy in our lives. 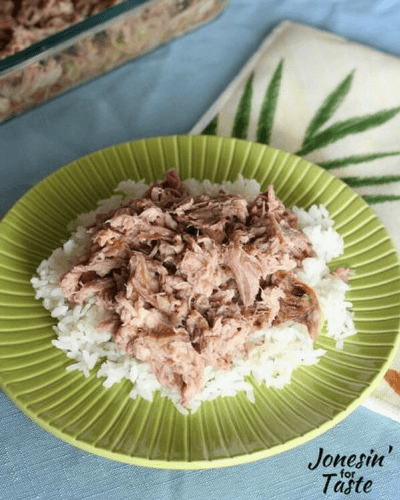 Slow Cooker Kalua Pork from Jonesin’ for Taste to bring Hawaii to your backyard this summer. 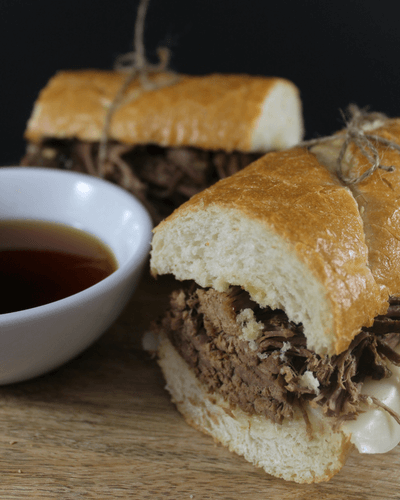 5 Ingredient French Dips from here at Simply Made Recipes. So simple! Perfect for those days your busy at the pool with the kids. 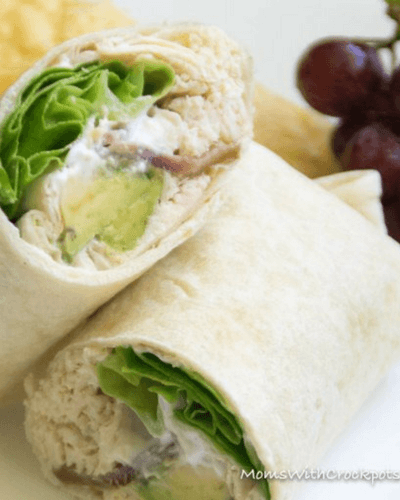 Crockpot Bacon Chicken from Moms with Crockpots wrapped in a flour tortilla with avocado and ranch. Easy 5 Ingredient Slow Cooker Pulled Pork from Fearless Dining. 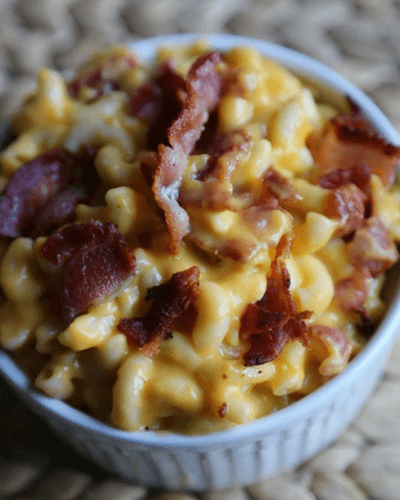 Crockpot Bacon Macaroni and Cheese from Tammilee Tips because…well, it is bacon and cheese. Great side for all those summer grill outs! 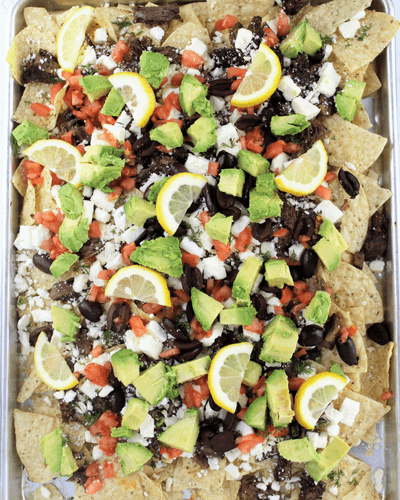 Lamb and Feta Nachos from here at Simply Made Recipes. These Greek inspired nachos have slow cooked lamb shredded on a bed of nachos with all the fixings. Slow Cooker Chicken and Black Beans by Living Sweet Moments. Cuban Beef Stew by Savory Tooth. Slow Cooker Salsa Chicken by Strength and Sunshine. Chana Masala from The Starving Chef. 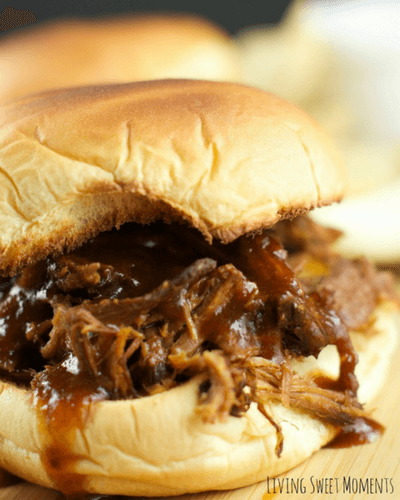 Crockpot Dr. Pepper BBQ Sandwiches from Jonesin’ for Taste. Root Beer Beef Stew from Jonesin’ for Taste. Slow Cooker London Broil from Ann’s Entitled Life. Crockpot Paella from Wanna Bite. Crockpot Buffalo Chicken Sandwiches from Mom’s with Crockpots. 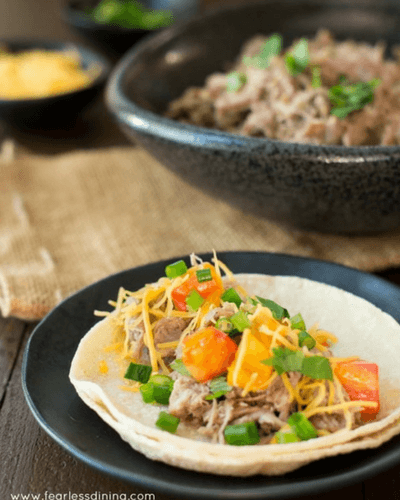 Crockpot Beef Carnitas from Small Town Woman. Pulled Pork Tenderloin from Diabetic Foodie. Slow Cooker Beef and Broccoli from Low Carb Yum. Easy Crockpot Stuffed Peppers from Baking Beauty. Slow Cooker Red Beans and Rice from Organized 31. BBQ Chicken Naan Pizza from Simply Made Recipes.